It doesn’t take much skill but it does take a bit of time to prepare, but it’s worth every last second, I promise. And for the record, it tastes as good as it looks! I love everything starry and the festive feel, but really you can cut out any shape you like on the top. I’m going to try hearts next time. Because… Made With Love. Always! Thermomix Place flour, sugar and butter into TM bowl and mix for about 10 seconds on speed 6 until mixture resembles breadcrumbs. Set scales and weigh in egg. If necessary add iced water to reach the 50-60g mark. Set the dial to closed lid position and knead for 10 -20 seconds on interval speed to form dough. Knead pastry on floured surface until smooth. Shape into a disc, cover and refrigerate for 20 minutes. 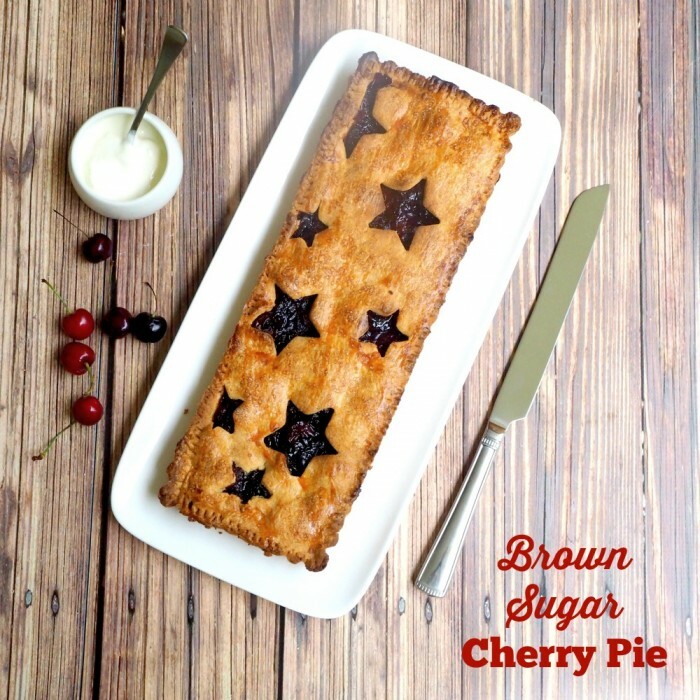 Combine cherries, lemon juice, mixed spice and raw sugar in a pan over medium heat. Cook, stirring for 6-8 minutes until the cherries are defrosted and the sugar has dissolved. Blend the cornflour with 1 tablespoon cold water in a bowl and stir into the cherry mixture. Cook, stirring for 3-4 minutes until the mixture has thickened. Allow to cool. Preheat oven to 200C/180C fan-forced. Grease a 2cm deep, 11cm x 34cm (base) fluted loose based flan tin. Roll two thirds of the pastry between two sheets of baking paper until big enough to line the tin. Carefully press pastry into the tin and trim the excess. Refrigerate for 10 minutes. 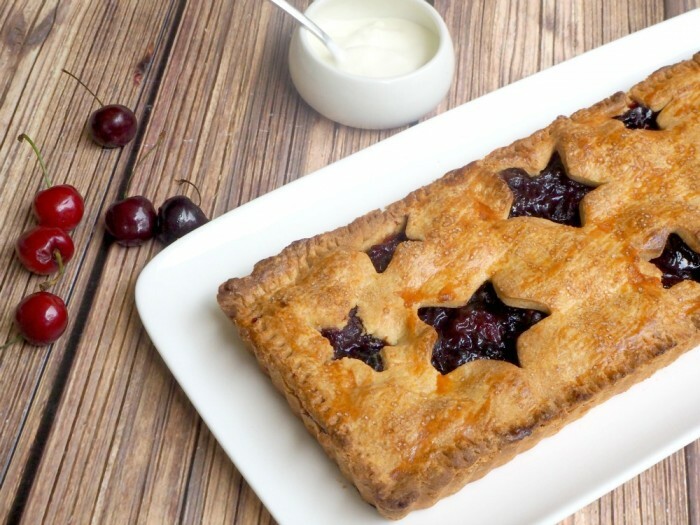 Place tin on baking tray and spoon the cherry mixture into the pastry case. Roll out the remaining pastry until big enough to cover the pie. Using 4cm and 6cm star-shaped cutters, cut stars from the pastry, removing them very carefully. Place the pastry over the filling with care and gently press the edges together to seal. Brush with egg white and sprinkle with extra sugar. Refrigerate for 10 minutes. Bake for 40-45 minutes or until the pastry is golden and crisp. Stand in the tin for at least 15 minutes before removing. Slice and serve with cream.